Just thought I would share some of my random thoughts on College Golf after attending a practice round for the St. Mary's Invitational being held at Poppy Hills Golf Course this week. 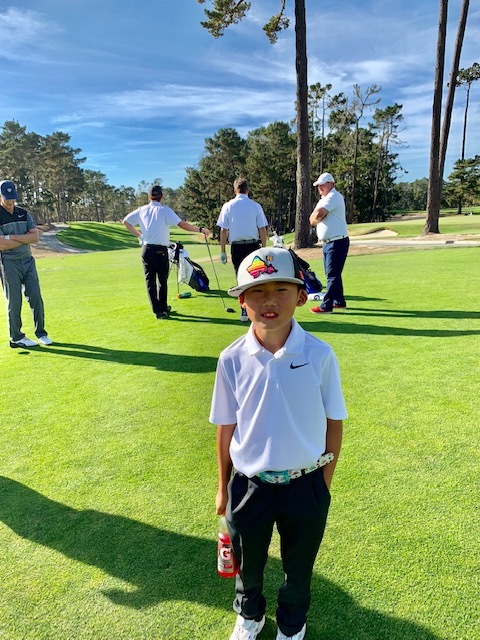 We happened to be up North for the Monterey Challenge so we decided to visit Poppy Hills to see if my son and his buddy could play for $5. Gotta love YOC. Anyhow, they were pretty booked so the boys went to the range instead. They were able to hit balls with some of the players from SDSU, Colorado State, and Cal Poly. Very cool. The players were very approachable and open to chatting with the boys. After hitting some balls, we headed to the 10th tee as some of the players were making the turn, which is where we met and talked with the head coach from St. Mary's (Mike Hardy). Very nice guy btw. Anyhow, I briefly asked him what he looks for in a player and if he had any tips for our juniors: First thing he said, was you can't play golf with bad grades. That was cool for my son to hear directly from an actual golf coach and not me. Secondly, like most coaches, he uses the junior golf scoreboard to recruit. He mentions that he gets a lot of letters etc. from players, but if their rankings aren't there, he just moves on. Thirdly, he urged the boys to play multiple sports. All points that have been made countless times by others who are more experienced than myself when it comes to College Golf. As we stood on the tee, the guys from BYU roll up and we also spoke a bit to the coach and a few players. We watched 5 of the BYU players tee off and I was blown away as to how well they hit it. Not sure where BYU is ranked, but now I really want to see some of the other top programs in action. Sounds like a great experience for you and your son. I am in the sunset of my youngest sons college golf career as he is a senior this year. 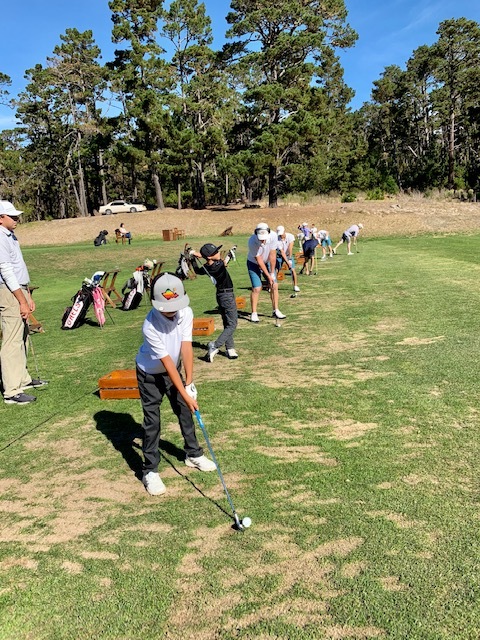 My son played his junior golf in northern California with a lot of other talented boys and girls. It was a great experience. Keep exposing your son to these cool experiences. 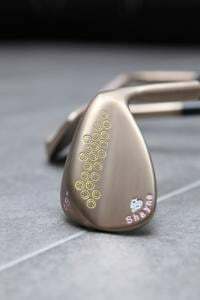 Most college tournaments do not have a large amount of spectators other than parents or friends so I am sure that most college golfers would enjoy interacting with kids on the range and during a practice round. It may be not as easy once the tournament starts, so keep that in mind. I also second the opinion of playing other sports as that provides a boost to athleticism and also provides further experience in a team environment. Golf does not provide many team experiences until high school and college (You still compete essentially in an individual aspect within the team aspect). Both my sons competed in another sport (ice hockey) at the AAA level until a senior in high school therefore played golf only 6 months a year. We were lucky that hockey is an opposite season sport from golf. I was also surprised at the level of golf in college. There are exceptional golfers in the top 100-150 ranked teams in division 1, the higher ranked teams just have more depth through the lineup. There are also very good golfers at D2, D3 and NAIA teams but not as much depth. The top 250-300 golfers in D1 average under par in tournament rounds that are setup as long and tough as Pro tournaments. Enjoy your time in junior golf and the experiences with your son. I cherish the time with my sons in golf. It sounds like you are asking the right questions of coaches and doing your homework. I rambled on here but these are just my opinions. Each situation is different but I wish you the best on your journey. Hey hattrick I appreciate the insight. So cool that your kids played college golf. After day 1 BYU is leading at -13. Their #1 guy shot -10. Wtf!! Was it Kuest with the -10? Dude's the real deal. Yup. Course record too. BYU is steamrolling everyone. The BYU steamroller ran out of gas... USC with the huge comeback. I saw that. Just nuts!!! That guy from USC is a household name here in the Bay Area. So Suh will likely turn pro after finishing his Junior year? I cannot confirm or deny as I've never met him. All I know is they're in talks. He's just a good friend of a dad in our local tour. Justin is a senior. His whole bag is Ping except maybe his putter (Nike?). He's a good kid. You are correct. In that case, I see no reason not to go pro. what schools to contact through emails. recruiting at and play in them so the player can be seen. is a way for coaches to get to know the player. idea for the player to meet the coach to see if it is a fit for the player as well. on the phone. Once again, make sure the coach is interested in the Student-Athlete. current season. A follow up email is always good after a few weeks. the coach. Coaches look for grit, can they come back after a big hole or do they just give up.